Perhaps an overlooked item in times of change is to acknowledge what seems obvious: in an ever-changing world, we are all beginners. As a coach, mentor, researcher and even professor, I’ve witnessed adult learners and leaders struggle with the notion of being a beginner. Worse yet, I’ve seen instructors who cannot move beyond their expertise – unable to recognize the possibility in a student’s question or new perspective within an irritating discovery. Understandably, being a beginner requires putting oneself at risk in uttering those three fearful words: “I – Don’t – Know,” which finds us on the edge of being willing to unlearn and relearn. Years ago, I was unable to “admit” when I didn’t know something, so I found learning a painful process. Yet, with practice in recognizing my ego, letting go of “knowing” has become easier. Just in time too. Much of knowledge today has a half-life of 5-7 years, with technical knowledge at a half-life of 18-24 months. 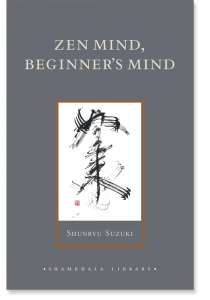 The rewards of embracing a Beginner’s Mind reduces the pressure of having to know everything – and brings forth an incredible openness and aliveness. 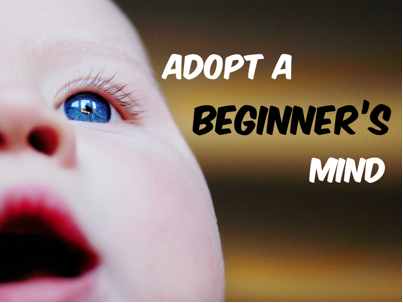 Like anything, developing a Beginner’s Mind takes practice. In our fast-paced life I’ve discovered that “time” – how we relate to time – is an often-overlooked pitfall that stops us from embracing our beginner’s mind. I’ve selected some common “time” obstacles to a Beginner’s Mind. Leaders are in-demand, busy professionals, who are expected to be “all-knowing,” and can embrace a perfectionist’s mindset. The all-knowing, perfectionist mindset avoids mistakes. Here’s the paradox, failure paves the path to learning. Success yields little insight, but a mistake can pinpoint a cause that inspires new learning. Mistakes lubricate our learning muscles. The real failure is not in the mistake but in not learning from it. Practice: Plan for mistakes. Buffer time into your planning for WHEN, not IF, mistakes happen. Embrace mistakes as your internal teacher and not the enemy. Everything new involves a hidden learning curve. Embrace this first lesson: Count on a curve, even though we do not know what it will look like. So, create the time for it. Whenever I take on something new I drastically overestimate – by two or three times what I think it will take to accomplish that task. Remarkably, in today’s climate even familiar tasks are new, as they involve new contexts, conditions, or arrangements. Practice: Overestimate what you think you need to allow for the unknown. The worse that can happen is to yield extra time for another task. Wonder (Preparation): The mind prepares for the creative solution, which requires study and thinking intently on the subject—whether it be a musical composition, a new invention, a mathematical formula, or a business dilemma. Embracing a growth mindset, a Beginner’s Mind or childlike wonder finds learners experimenting, discovering and willing to see old ideas with a fresh perspective. Practice: Become a student of your topic. Delve into it in a way to question existing knowledge. Questioning will expand understanding, create connections, and may involve being confused for a bit. Practice: Breathe, meditate, quiet the mind, and pause, regularly. Set aside the work to allow the mind to let go of the problem or support in getting an answer. 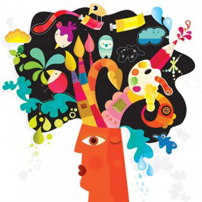 Be distracted, and wander into life, dwelling into and drawing out ideas, organically. Practice: Be open and receptive to what comes to, or flows through, you. Sharpen the saw, and organize your life to capture ideas and insights. Acknowledge/Accept (Verification): The idea is tested to determine its validity. The composition is scored; the mathematical formula, proven; the business idea is formulated into a proposal. Practice: Begin again by questioning, testing, revising, reviewing, formulating – whatever is required to bring an idea to the next level or to discover a new opening that may return you to a previous step. Review the four-step journey outlined by Jeffrey/Wallas. Consider that in most cases we do some work in #1, and then likely surf right to #4. Skipping Wander and Insight limits us to only leveraging what we know. We might get by, but we will not innovate, create or discover. Worse, we risk our imagination for the certainty of the predictable. We do not allow for – give ourselves permission for – genuine learning, or newness to arise. We force a present situation into a past-based frame. We fail to consider or realize how our current pace of change alters even the familiar in subtle ways – differences that if approached with a Beginner’s Mind would offer jolts of learning and quantum leaps in understanding. Discovery happens in stages 2 and 3 (“Wander” and “Insight”) of the framework above. By assuming nothing and questioning everything as a beginner, we can embrace the unknown and become open to surprises and unpredictable discoveries.